Kitchen cabinets are a major part of your kitchen. It’s important that they not only function great and have tons of storage options but also be stylish in the overall grand scheme of your kitchen design. There are so many details to choose from when it comes to the features of your kitchen cabinets. From the hardware and cut outs to lighting and panels, there are so many options to consider. A kitchen joinery will be able to help you customize your new kitchen cabinets to be not only useful but also to be as stylish as anything you’ve seen in a magazine. Hardware and handles are a thing of the past. 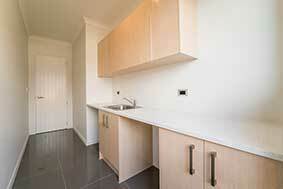 New trends in kitchen joinery showpiece kitchen cabinets with no hardware or handles. This makes for a modern or industrial style kitchen with clean seamless lines. Its ideal for kitchens that want to showcase other features like a fun splashback or anything else as a focus piece. This can be accomplished in a number of different ways such as cut outs, recessed details or leaving the cabinet door flat and finished. Anything you choose should work for the overall usefulness of your kitchen cabinets. A new trend that has been big in kitchen renovations is having a kitchen joinery create cutout on or in the doors to create a seamless and modern way to open your cabinets. The cut outs can be large and obvious so that you can easily put you hand in the cut out to open a cabinet. Or you can make it a small cut out that’s more conspicuous to the eye. A small circle can be cut out in a convenient place or any other design that makes it look purposeful and creates a fun design in the front of your cabinets that would otherwise be flat. Recessed details are another option for kitchen cabinets if your looking for a look with clean and crisp lines that’s real minimalist. Recessed details are similar to cut outs in that they are a detail in the wood of the cabinets. However they are not just a hole, they are more of a pocket made in your cabinets for you to put your hand into. These can come in a variety of shapes and sizes but the aim is that they are almost not seen in the overall design of the cabinets. Your kitchen joinery can create a recessed detail that is both beautiful and functional. Maybe you like the traditional or farmhouse style best with hardware on the cabinet doors. Your kitchen joinery will have a variety of different styles materials and finished to go on not only your cabinets but your drawers as well to create a kitchen design that is full of character. Don’t be afraid to mix hardware designs because that’s how you create something truly exceptional. You’ll need to decide on color material and design but you’ll also have to consider where on the cabinet you want your hardware positioned. You can have the hardware either on the rails or the stiles of your doors depending on how large the hardware is. There are other details that can be added to your kitchen cabinets to make them more accessible not only on the outside but also on the inside where you keep everything. Lights are a great addition to cabinets either inside to help you find things inside or on the outside to create more light in a workspace. This can be done with a string of LED lighting or with a single focused light to illuminate the space. Lighting can really help with the overall look of the kitchen and create the lighting layers that you need to complete your kitchen design. There are so many details when it comes to choosing what your kitchen cabinets look like. They are a major part of your overall kitchen design. From modern to contemporary and everything in between there is a cabinet design that’s going to fit your overall style. Your kitchen joinery will help you choose hardware or hardware-less cabinet doors. You will be able to choose a wide variety of recessed and cut out patterns and designs for a modern clean designed cabinet. If you chose hardware you will be able to choose materials , colors and placements as well as over all design. All these choice to give you cabinets that are not only beautiful but that also function flawlessly. Previous Previous post: Kitchen Design Ideas : Which is Right For You?